Need landing page copywriting? 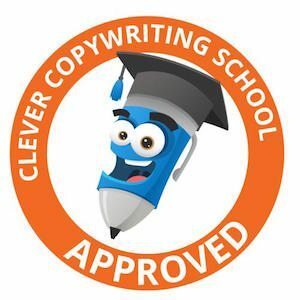 Sydney Copywriter Andrew can help. A landing page is a standalone web page. What makes it unique is that it’s distinct from your main website. Websites have many features and functions but successful landing pages don’t. Great landing pages have a singular and focused aim. Selling a specific product or service. Visitors can arrive at your landing page in different ways. Paid advertisements, natural search on Google, Yahoo! and Bing or social media are some. Andrew’s copywriting skills have increased the conversion rate of some of our landing pages by more than 200%! Not only is his writing incredibly effective, he is an absolute pleasure to work with. He takes a keen interest in the brands and people that he works with so his content always represents the true values of the brand. He has excellent communication on projects, deadlines and everything in between. He is an asset to any team that he works with. I couldn’t possibly recommend him more. Landing page copywriting is focused. To get your visitors to take the action you want, the message of your landing page content needs to be razor sharp. Often, landing pages fail because the copywriting message isn’t clear. 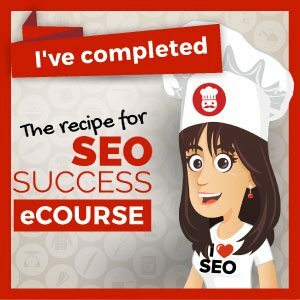 Visitors arrive, look at the header image and read the content but still aren’t sure what to do. As a result, they leave. FAST. All the effort you’ve put into getting visitors to your page has just gone to waste. Every once in a while you come across a really special copywriter. One that combines agency know how with SEO skills to create engaging, warm, easy to read copy that converts. Andrew Lau understands how to deliver great copy to his clients, on time and on budget. He’s also incredibly pleasant to work with. I highly recommend him. There are two main scenarios here. You need content for a landing page you’re designing. You have a landing page that doesn’t perform. The money you’ve spent advertising is resulting in visits but no one is converting. Either way, I can help you. By tapping into your key proposition, I can generate your landing page message. I’ll write copy focused on the singular goal you want to achieve. I can even offer content structure suggestions for your landing page. Sharpening the message of your landing page will see conversions rise. Need help with your landing page project? I’d love to chat with you. Just get in touch via the button below. I have engaged Andrew on multiple complex subject matter content assignments. Andrew is a pleasure to work with, he takes on constructive advice with ease and quickly implements any changes as required. Andrew is smart, articulate and just gets it. Lost for words? Get in touch for a FREE quote. Words that engage, convince and convert your customers. Need higher page rankings in Search Engines? I can do the keyword research too. A key proposition will funnel your customers towards a singular goal. Sharp and focused messaging will see you achieve your desired outcome. Secure your audience by establishing yourself as the authority in your line of business. Engaging content in the voice of your brand. Maintain your customer relationships. Avoid getting binned with catchy subject lines, succinct, on-point email messaging and clear call-to-actions. No one’s perfect. I’ll highlight your errors and offer suggestions for improvements. No client wants work with mistakes in it!